"Aim your camera at math issues to get an instant solution"
App description: This app lets you do math using the phone's camera to scan problems and offer a solution on the screen. 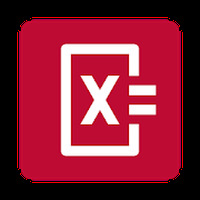 Functions: You can complete many different operations, including basic calculations and others more complicated, such as decimals, fractions, linear equations and logarithms. Activities: Thanks to its function that allows you to see the steps through to solution, this app helps parents and children to work on and correct homework and to learn from mistakes. Languages: Interface is available in English and Spanish. Recommendations: Ideal for those looking to solve mathematical problems using their phones or tablets without entering data. Installation requirements: A minimum of 16.46 MB of free memory space and Android 4.1 or higher. Rating: The TOP 5 Most popular Apps in Math Help category. Ranking: The TOP 1 Most downloaded applications in Math Help category. Recognizes very quickly numbers and formulas. Each time you upgrade it includes new operations. Explains the procedure and how the solution was obtained. No need to manually enter any data. Cannot recognize numbers written by hand.